The Department of Health and Human Services (HHS) is testing the use of blockchain technology to track unaccompanied minors when they enter Federal custody, said an HHS official on Thursday. “Another example for you to follow is what we’re doing with unaccompanied minors – the children that came across the border – and we’re trying to keep up with where they are across many facilities,” said Kenneth Thomson, a solution architect for HHS’ BUYSMARTER initiative during FCW’s Face to Face: Modernizing the Mission event today. He offered an example of how the system would work as well. “The Border Patrol just gave us the child, so we now have a record to begin. What you want to do with that – you want to build chain code. Chain code is the business rules that tells it what to do with the record next, it’s kind of link the inter-linking language behind that. When you have an organization, in this case HHS, you have many different players who use many different systems – the education, the health, the criminal background and the family background, so all these systems pull the data through and you build a distributed application to digest that into the righteous form,” said Thomson. He noted that the program is still in testing, and is still being built, and he did not discuss any completion estimates for those processes. The primary focus of Thomson’s speech was a step-by-step view of how the blockchain-powered program works for the Federal IT community. Pursuing a new tactic, HHS’ BUYSMARTER aims to make that data actionable by pulling it into a common platform and using artificial intelligence (AI) to analyze it. Using AI, HHS was able to analyze 97,000 contracts in days, according to Thomson. The process, he said, starts with understanding the available data, aligning to the mission, and creating a roadmap. HHS brought together category collaborative teams to help understand disparities in the prices paid for goods across HHS’ 26 component agencies. Those agencies then pooled their requirements for products and found a common base set for the department. The next step for the BUYSMARTER solution is to scan the web for products that match those requirements, draft an RFP, and make a recommendation to decisionmakers with the available information. Thomson noted that products negotiated this way will be available through an e-commerce platform for the various agencies. “You march the vendors in, based on everything you’ve done, and you pool your volume and drive the vendors to give you great considerations around price, terms and conditions, logistics, and that sort of thing,” he said. Throughout each of these steps, HHS officials “have fully designed and are beginning to contract for an app for every step” of the process, including contract compliance, Thomson noted. “We needed a vehicle to allow these [apps] to flow together. Think about it as portage of data to build a record to make it happen,” said Thomson. And HHS found a solution in Hyperledger Fabric. Unlike cryptocurrency, HHS’ blockchain is permissioned, which means only trusted users can access the data. Thomson strongly cautioned against permissionless blockchains in government, noting they do not fit the purpose. HHS’ current solution can pull off of many ledgers, which is useful for the various sources of acquisition. Thomson noted that on the security side, the data remains encrypted, and the immutable record is visible. “I always like to say, if we would have had this, Snowden would have never gotten away with it,” he quipped. 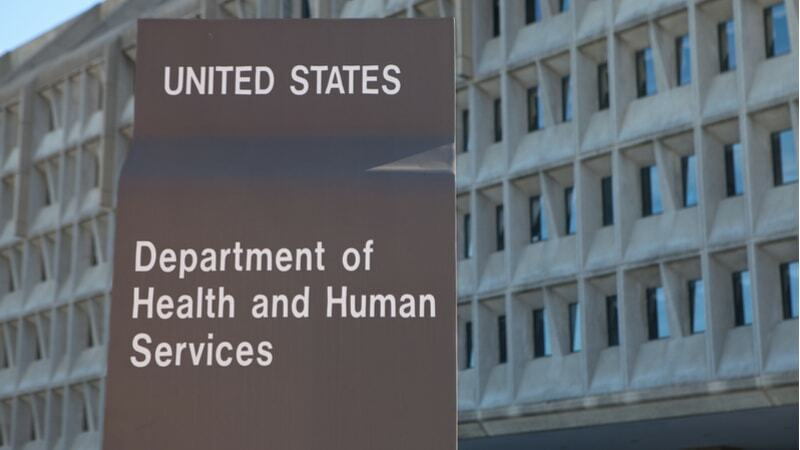 The solution also involves machine learning, as HHS had to train a machine-learning model to understand the structure on data on contracts, including natural language processing. However, Thomson noted that isn’t the easiest task. The results for HHS speak for themselves, he said. The department found multiple products with wide price disparities, including software and common goods like printing paper. Looking forward, Thomson said he hopes to share the solution with other agencies and make it low cost and portable.